Nigerian Rapper, Folarin Falana, better known by his stage name Falz, has revealed his new look in a post he made today. 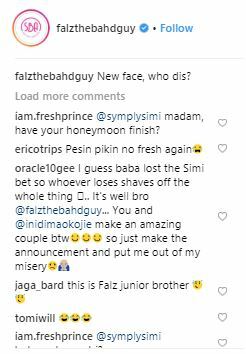 Falz formerly known for his trademark beard, shaved off the beard making him looking almost different. However, his fans don’t like his new look.